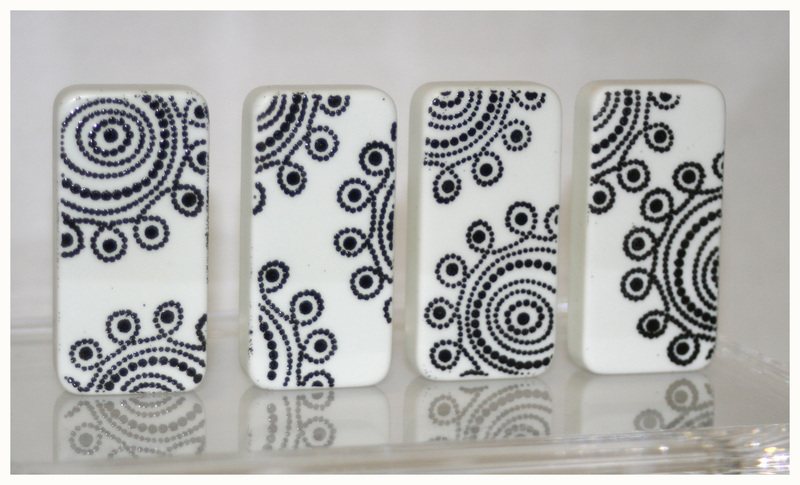 I love how these domino magnets turned out. The black and white really pops. The stamp is an old SAB set Polka Dot Punches. I stamped the circle image randomly on the domino, with Versamark ink. Then, I heat embossed with Black Embossing Powder. Here is the same stamp set, but embossed with White Embossing Powder. I applied the ink to the domino after embossing with a Sponge Dauber. The colors used here are: Daffodil Delight, Certainly Celery, Lovely Lilac, and Regal Rose. 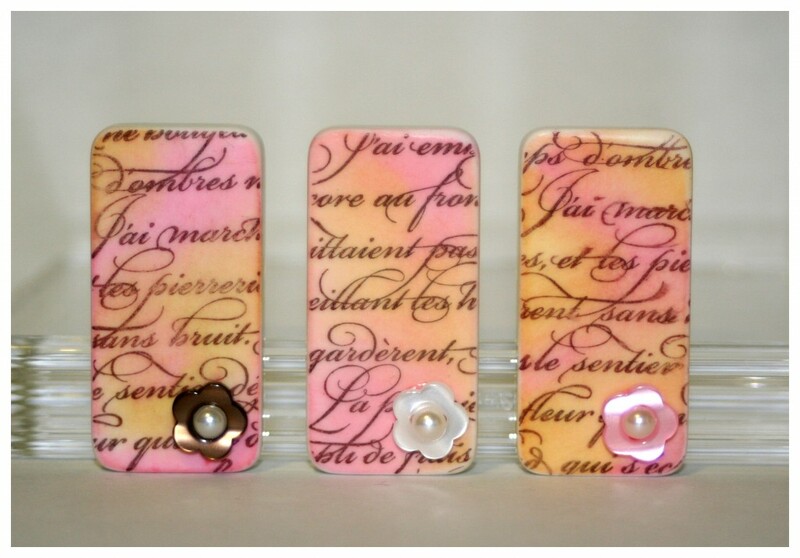 Last but not least, these domino magnets were made using the En Francais Background stamp. I stamped onto the domino with Brown Stazon ink. 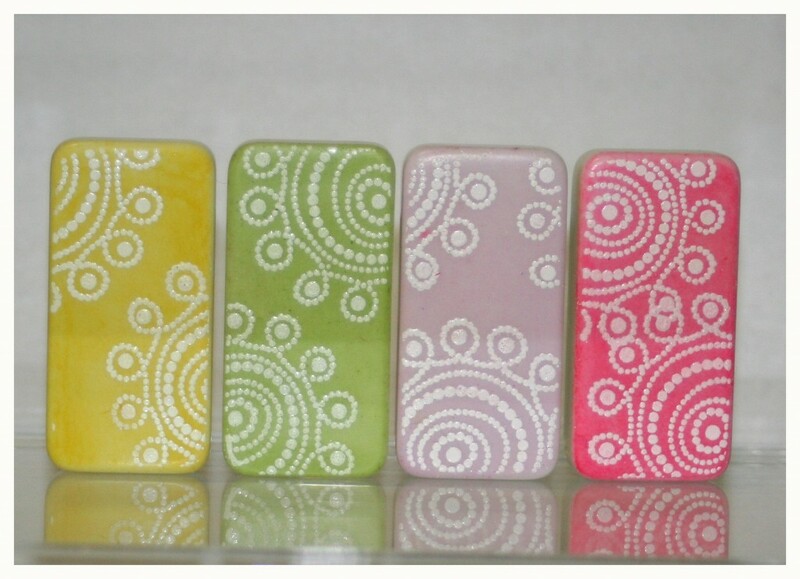 Then, using sponge daubers, I applied Pretty in Pink and So Saffron ink to the dominoes. In the lower corner of each domino, I added a button (from Designer Buttons) with a Basic Pearl in the center of the flower. I glued the flowers on with Crystal Effects.